1.Tell us about what you’re working on or recently released. 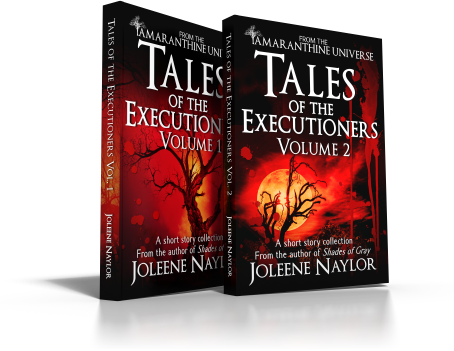 I’m working on Tales of the Executioners, Volume 2– the second half of the Executioner stories. Volume One was released in October, and I’d hoped to have Volume Two out by now, but it’s not happening. I’ve had too many real life setbacks. Hopefully, it will be out in time for Christmas. 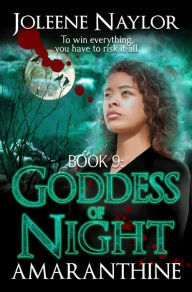 As to what it is, it’s fourteen stories about the Executioners, the vampire elite. At least three of the previously released stories will be expanded and there will be three that are exclusive to the collection. 2.Where in the process of writing are you? I’m editing and expanding the stories. The first five are done, and I’m on story number six (Cyprus). I’m adding a second half to it that details what happened in Italy and shows him and Sadihra’s hook up that goes on to play such an important role in the main series of books. 3. What is the most difficult part of writing the story at this point? Since this is an event I’ve mentioned a hundred times but never shown before, it’s hard to make it live up to the hype. It’s easier to say that something tragic, or horrific, or romantic happened and leave it up to the readers’ imaginations, but then to have to try to come up with something that can live up to what they’ve been imagining…I don’t know why I keep doing this to myself. 4.What about your main character do you like the most? There’s not really an overarching main character in this half of the Executioner Tales. So, I guess I’ll answer this using Cyprus (since it’s the story I am working on.) The thing I like most about Cyprus is that he really is loyal, though you might not think that if you’ve read the series. The trouble is he’s only loyal to a super small circle of about four vampires. 5.What is your writing process/routine, if you have one? I wish I had one. Between doing things for other authors, family, pets, and real life stuff, I write when I can steal a few minutes, which is often not even every day. After Christmas is over, though, I am going to severely limit my helping others and get Micah’s book started – three months late! 6.Do you pants your way through a story, or do you plot it out? Panster all the way – though I’ve plotted before when I had to. Like for the Brothers of Darkness novel, since it was a prequel, I had to make sure everything happened when it was supposed to. 7.What are your characters’ musical interests? I think Cyprus would be kind of a new wave, romantic, gothic kind of guy – synths, broken hearts…Maybe a fan of 69 Eyes. 8. What’s next for you in terms of writing? Micah and Loren’s road trip novel which should have been started in September. 9. If you could pick a narrator for your story’s audio book, who would you pick? I think since it’s a collection, with each story about a different person, it would be fun to have each story narrated by a different narrator. 10. Share an excerpt or snippet, if you’re comfortable. Cyprus nearly skipped back to his room where he stuffed things in a bag. The assignment seemed straightforward enough; the Gilda was having trouble with a coven who’d barricaded themselves underground in an ancient catacomb. 1.What’s the last book/story you worked on? 3.What’s your favorite story/book you’ve ever written? 4.What was the first story you remember writing and how old were you? 5.Do you get a lot of writing done around the holidays? 6.What book or story (written by someone else) do you wish you’d written? 7.If your last book/story was made into a movie, who would star in it? 8.Do you have a WIP? If so what is it? 9.Do you like to bounce ideas off of someone out loud, or do you do it all in your head? 10.Who is your favorite character you’ve ever written? Yay! You did the tag. And BTW, I love the answers you gave. Thanks! And thank YOU for tagging me. I always love these!